The following lists includes links to articles pertaining to all those who have made priceless contributions to the Necronomicon Tradition. I must also that the majority of the names listed herein may not comply to the philosophy of the other groups and/or persons appearing on this page. Yet it still must be understood that whatever the case, the validation of their experience and hard effort has helped to keep the Necronomicon Tradition alive. We are grateful for their hard work and contributions. Born on August 20th, 1890 in Providence, Rhode Island. He was the only child of Winfield Scott Lovecraft and Sarah Susan Phillips Lovecraft. H.P. 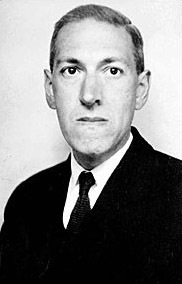 Lovecraft was a master of Gothic horror, fantasy, and science fiction of a most rococo variety, he is particularly noted for his many nightmarish short stories. Some of his best-known tales are part of the Cthulhu Mythos series written c.1925-35, where he invents an entire mythology of earthly origins, gods, and hideous otherworldly creatures. Much can be attributed to the work of the legendary H.P. Lovecraft, even the rediscovery of the word “Necronomicon,” a word which was communicated to Lovecraft in dreams. He was a man with many issues, but he had a clear vision of the world. He died on March 15th 1937 as the first soldier of the Necronomicon Tradition. His works have influenced artists, musicians, occultists, poets, and scholars all around the world. Born February 24th 1909, was a famous American writer and anthologist. Although he is best remembered as the first publisher of H.P. Lovecraft’s writings and his own contributions to the Cthulhu Mythos, Derleth was one of the leading writers of his day. His contribution to the Necronomicon Tradition is probably one of the biggest, being the first publisher of Lovecraft’s works, as well as, introducing a good versus evil dichotomy into the Cthulhu Mythos, which may have increased Lovecraft’s fan base. Derleth was a remarkable individual overall. 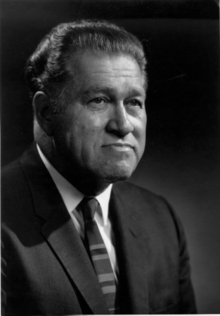 Derleth wrote more than 150 short stories and over 100 books during his lifetime. He died on July 4th, 1971. 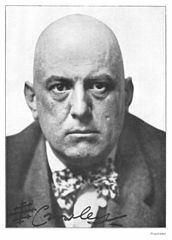 Born on October 12th, 1875, Aleister Crowley is probably one of the world’s most-known advocate of the occult arts in modern times. He is founder of the Thelemic religion. His works and theories are studied by thousands of magicians, occultists, scholars, warlocks, and witches of today. Crowley’s life is well-documented, a very controversial figure to say the least. Despite all of this, Crowley’s influence has had a major impact throughout the world, even greater than many who hold political office. His contribution to the Necronomicon Tradition is obvious, but mysterious as well. The name “Crowley” appears thirty-nine times in the Simon Necronomicon’s introduction. This is the same amount of times that the Hebrew word for “messiah” appears in the Old Testament. It is stated, in the introduction of the Simon Necronomicon, that the grimoire could not be possible is it weren’t for the work of “Perdurabo,” which is Crowley’s magical name. Perhaps even a bigger clue to Crowley’s role in the Simon Necronomicon’s history, was his title “wanderer of the waste.” This title is also used by the Mad Arab in the Simon Necronomicon, which has led many practitioners of the tome to believe that the Simon Necronomicon was originally based on Crowley’s unpublished magical notes that Kenneth grant preserved for himself. But the group that published the Simon Necronomicon didn’t have legal right to publish Crowley’s work, so they used a mythological character to avoid any dispute. Crowley passed form on December 1st, 1947. Born May 23rd 1924, Kenneth Grant was one of the biggest contributors to the sacred Necroniomicon Tradition. Grant was a big advocate of the Thelema and a direct student of the infamous Aleister Crowley. Grant was widely-known for his investigation of rare, but obscure occult history, discussing the rituals of various cults that existed in times of remote antiquity. 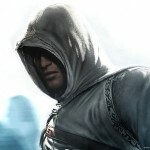 He is popularly known for having founded the Typhonian O.T.O., which would later become the Typhonian Order. Grant’s contribution to the Necronomicon Tradition remains unprecedented. He was the first magician to demonstrate the magical correspondences of the Lovecraftian Mythos and the true meaning of the fictitious “Necronomicon.” His discoveries can be found in the literary series known as the Typhonian Trilogies. His work has been an inspiration to may practitioners of the mystical arts all around the world. He passed form on January 15th 2011. History was made with the release of the Necronomicon by Simon in 1977. It is the sacred text of those who practice and follow the Necronomicon Tradition. Questions about the identity of “Simon” have arisen over the years.The big secret is that “Simon” the editor represents the practitioner of the tome. Every Practitioner of the Necronomicon Mysteries is Simon. In the practical discovery of Simon’s identity, we find that it represents a composite character, the team who published what would become known as the most-controversial grimoire of the present age, the Simon Necronomicon. This team was made up of several members. Peter Levenda, James Wasserman, Herman Slater, Larry Barnes, and Khem Set Rising. The work produced by this team was legendary and even decades after the Simon Necronomicon was published, it is still a mystery to those versed in occult lore. Known as the “Necronomicon Assassin,” Alric Thomas remains one of the most-controversial figures in the Necronomicon Tradition’s history. Little is known about Thomas’ background. He moves in the Shadows. Despite all of this, Alric Thomas holds three records in the Necronomicon Tradition’s history. He was the first author to publish information useful to the practitioner of the Necronomicon Mysteries. His book, The Hidden Key of the Necronomicon, is still listed as a collector’s item in the eyes of the public. Secondly, Alric Thomas founded the longest standing “Necronomicon organization” ever. He developed the Silent Dragon over two decades ago and it is still running today. Thirdly, he was the first magician, outside of the composite Simon circle, to explore the forbidden regions of the Urilia Text. While there has been a bit of friction between Alric Thomas and some modern Necronomicon factions, he is still a legend in the eyes of all practitioners of the Tradition.